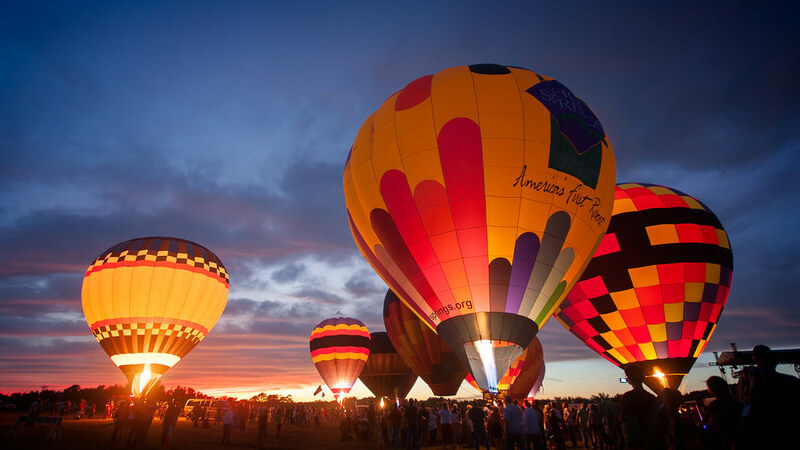 Quite possibly one of the most visited events in Hot Springs is the Legends Balloon Rally. It is an annual event which occurs in September; taking place at the Hot Springs Memorial Field Airport. I made the short drive down to Hot springs in 2011 to view the Legends Balloon Rally and thoroughly enjoyed the sights. The time I was there they had a short air show, and actually had “games” for the Hot Air Balloon Pilots, where they tried to get as close to a target by throwing a ring as they glided overhead. The highlight of the show, of course, was the after dark “balloon glow” where the pilots all tied off and fired off their gas burners, lighting up the balloons against the darkening sky. This particular evening the sunset just happened to be magnificent. Which made the legends balloon glow even that more special. If you’re interested in viewing the Legends Balloon Rally for yourself, I highly recommend it. More information can be found here: Legends Balloon Rally. Have you seen the Legends Balloon Rally for yourself? Let’s hear about your experience in the comments below!